Audio: LPCM 7.1ch, Dolby Digital, Dolby Digital Plus, Dolby TrueHD, DTS, DTS-HD, AAC. Sony’s latest model of their PlayStation 3 console may seem somewhat redundant given the fact that they previously released a slim version of console a mere 2 and half years ago, but it is still an admirable attempt to correct the issues with the previous incarnations of the machine. Though is it worth tossing your old PS3 consoles out the window into oncoming traffic and upgrading to the super slim model? Well that really comes down to you. 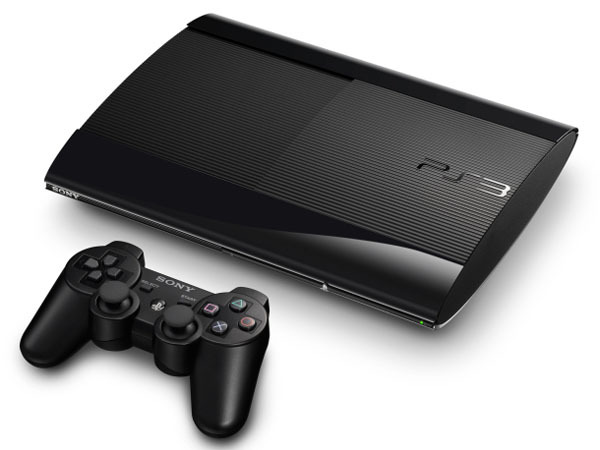 The super slim model is essentially a smaller and lighter version of the existing PlayStation 3 with a top-loading disc tray somewhat reminiscent of the PSOne. The top-loader has a slide cover unlike the PSOne which had a lid-like cover. The slide cover can be opened both manually by hand and also by the button on the front of the console. There is a problem with the slide cover though, that being that when you shut it, you must make sure you hear the clicking sound otherwise there is the possibility of it flinging open mid-way through your gaming experience which of course is not ideal. It feels like it is made from fairly cheap plastic and is somewhat flimsy. I found myself being overly gentle with it in fear I would damage it accidentally. I’m not sure why they decided upon a top-loader for a disc tray with a slide cover. It seems somewhat ill-conceived and unfortunately doesn’t feel very sturdy. A common complaint with previous models of the PlayStation 3 was that the console was very noisy. 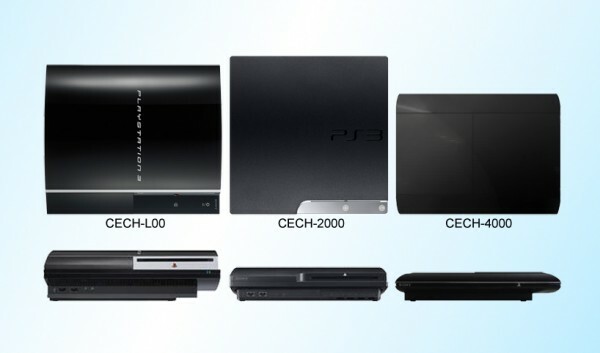 Thankfully the super slim PlayStation 3 is the exact opposite, during my time with the console I did not hear a peep from it other than the irritating and unnecessary start up beep sound. I’ll make sure not to play this console at night while everyone in the house is asleep because that beep is really unnecessarily loud. Other than that the machine silent, which is great. It runs games, DVD and Blu-Rays perfectly and makes no noise whatsoever from the console itself. This impressed me quite a fair bit as the PS3 is known for making loud noises during running of a disc. Aesthetically the machine looks very nice one the eyes, with a nice slick black look and small size, it looks great. Unfortunately it does not look very sturdy and looks like you must handle it with care as it seems somewhat fragile. Despite that it looks nice and smooth and has a decent amount of ports in the back for any type of set up. There is AV input, HDMI input, Ethernet, 2 High-Speed USB ports, AC port and digital output. So just about covers all bases in terms of what you need for your set up. Unfortunately though the console does not come with a HDMI cable instead Sony opted for the standard AV cables. I find this odd especially considering we are living in 2012 and most people are looking for HD output. Thankfully I have my own HDMI cable to use any ways, but for those of you that don’t you will need to purchase one separately should you decide to play in HD. In terms of size and dimensions the console is very small. 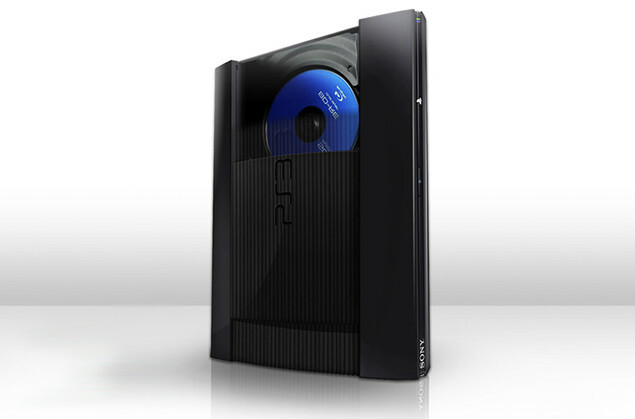 In comparison with both previous incarnations of the PlayStation 3 it is easily the smallest and slimmed one to date (as you can see the picture above). My only issue was that it is still fairly space-consuming despite being the tiniest version of the PlayStation 3 to date. The original Wii is still by far more compact than this console, but that’s probably besides the point. It is small and if that’s what you’re after this may be for you. All in all there is not a whole lot different with the super slim model when compared to it’s predecessors. Sure it’s more compact, silent and faster, but if you already own a PlayStation 3, there is little reason to fork out $400 for this machine. It is first and foremost a redesign and if you want a redesigned version of something you already have than by all means get this machine. If you have yet to get a PlayStation 3 but have decided this late in the game to pick up the console, then yes this is probably the best version of it for you to buy. But if you are satisfied with the device you already have, there is no reason you need to buy this new model. I just can’t justify that. Ultimately it comes down to the consumer. Do you want a new PlayStation 3? That is up to you to decide. It is indeed an impressive machine but it doesn’t do enough new things to warrant consumers upgrading or simply replacing their existing console. It does however work well as a great entry point for those late to the game.